The big day is here! You are putting your hard work into the hands of your students, and to help make it just a bit easier, here’s a short yearbook distribution day checklist. Be very careful to document every person to whom you give a book. If you let a colleague or a student borrow a book, keep an accurate record. You very well may have to account for EACH book to satisfy a school system auditor, so it is important that you know where all books are at all times. Check the book right then for any flaws. 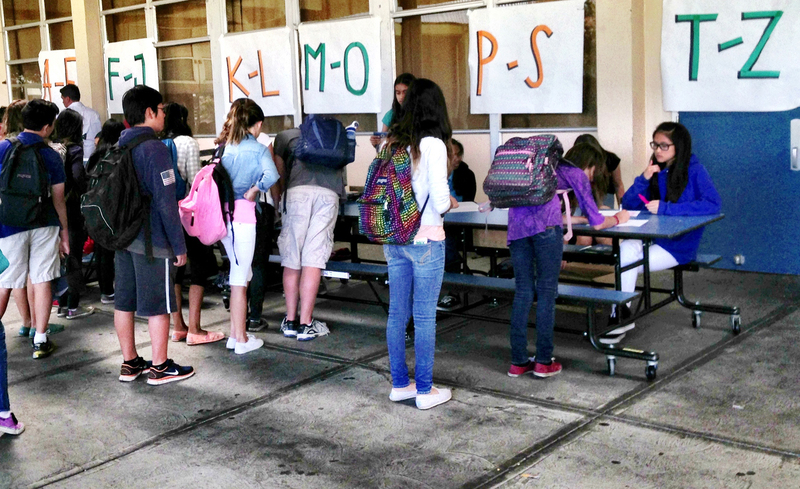 Before the students walk away with a book, require them to quickly flip through it. 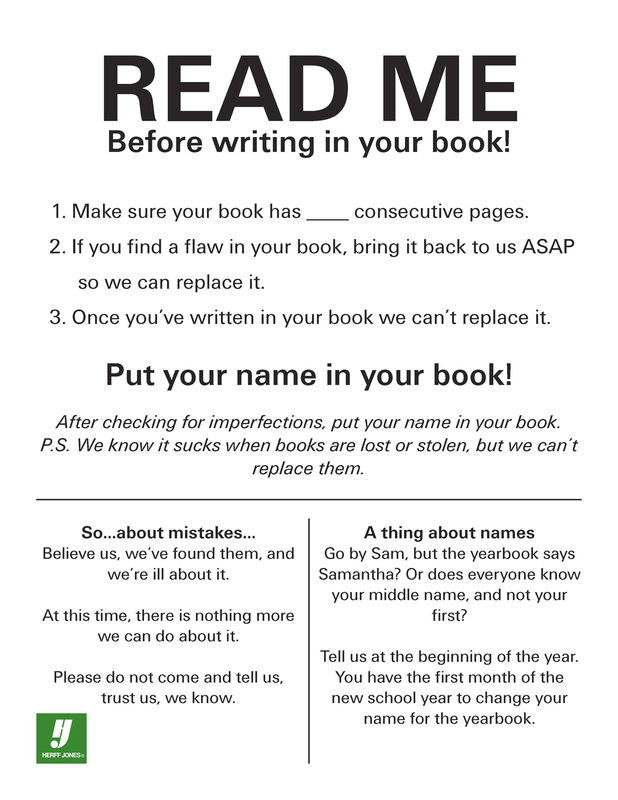 Typical flaws include blank pages, an upside down cover, an upside down endsheet, torn pages, etc. There won’t be many, but it’s best to spot a problem before they get autographs in it. After approving the yearbook, have them write their names in the yearbook. Have them sign the distribution list. Prior to the day of distribution, make a list of purchasers that has a space next to the names where students can sign. At the top, clearly state that their signature means: 1) they have picked up their yearbook and 2) their yearbook is free of flaw and defect. Yearbook distribution day will bring with it people who “swear” they bought a yearbook but are not on your lists. To reduce stress, be prepared. Being organized in advance will help you stay calm in the face of an upset parent or student. If the book was bought through your yearbook printer’s online ordering system, check there first to verify the sale. If the book was purchased on campus, Have your notes and receipts well-organized so that you are ready to look up an inquiry. 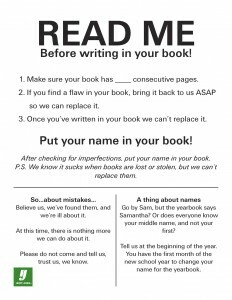 If you cannot verify the purchase of the a yearbook right there, promise to look into the issue when you have more time and promise to deliver the book to the student as soon as issue is resolved. If you plan on selling any remaining books the same day you are distributing pre-purchased books, have a completely different, well-signed place for sales. Adult supervision is recommended at this location to help monitor the money as it comes in. Now that you’re prepared, we wish you a smooth and fun yearbook distribution day. You can sit back and watch with pride as everyone falls in love with their yearbook!